At the Departement of Industrial Design researchers and students can use several labs to support their research and educational activities. We offer Generic Make-Labs, Specific Make-Labs and Research Labs. The /d.search lab is dedicated to the realization of high-quality prototypes for master students and researchers of the ID department. The lab facilities are also used for the support of innovative projects within education that deserve extra attention to come to a higher level to attract industry and inform and inspire research. Dedicated multi-disciplinary support staff takes care of the proper operation of the equipment and the maintenance and extension of the facilities and related support. Facilities for silicone and resin casting. If you want to use these facilities contact one of the staff members. Especially for 3D printing contact Chet Bangaru or Jasper Sterk ) in due time. The E-lab is meant for education; it facilitates students who want to build electronic circuits and provides the first level of electronics support for bachelor students. The E-lab is also used for some electives and workshops on electronics. The E-lab has 12 working places, which can be used by ID students without prior reservation. Each working place is equipped with measuring equipment like an oscilloscope, function generator, 2 power supplies, and a soldering iron with fume extraction. Under the name of E-atelier, student assistants from the department of Electrical Engineering together with a senior staff member, assist ID students. The E-atelier also has a website with electronics information. Laser cutter Trotec Speedy 300™(click for usage instructions). Our laser cutter is mostly used for cutting and engraving sheets of MDF, plywood, or acrylic and work on textiles. State-of-the-art professional 3D printer (Objet Connex 350). The Connex 350 is used for printing of (final) prototypes and molds as well as for explorations using its capability of printing materials with varying mechanical properties in one print job. 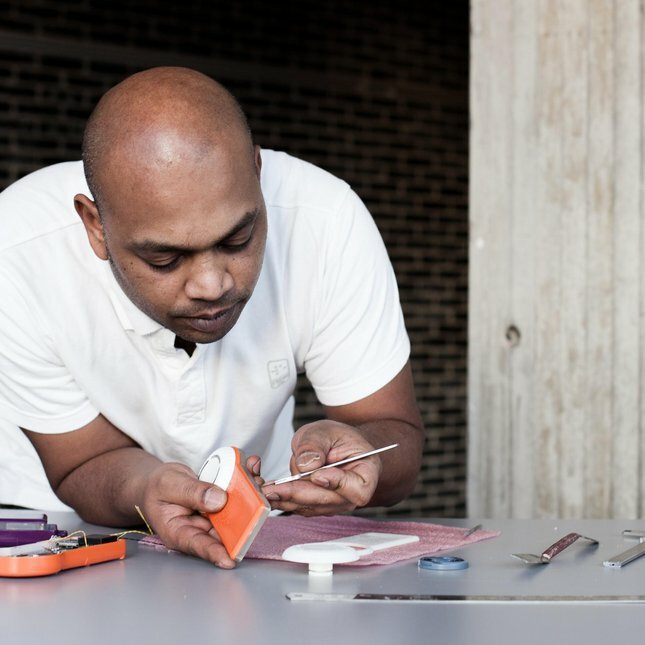 The Interactive Material Lab is a newly established workshop for students and researchers to design, construct and produce prototypes with functional materials and composites. More possibilities will be explored in the area of shape-changing interfaces, thermo- & electrical actuators, soft-robotics, innovative materials for 3D printer, etc. The Data Enabled Design Lab brings tools, methods and expertise for societal sensing in an attempt to integrate data (for inspiration and validation) in every phase of the design process. The lab provides tools for real time data insights (data capturing, visualization, reflection and communication). The Lab facilitates 'making' (with a strong data focus) with the newest tools (e.g., Raspberry Pi, Intel Edison, Lightblue Bean, Spark Core, iOS, Android, d3.js). The aim of the lab is to develop attitude, skills and knowledge that deal with data in design projects, to explore data-enabled and data-inspired design processes. The Sound Studio is equipped for sound design and offers a wide range of possibilities for high-quality audio recording, generating, editing and listening. 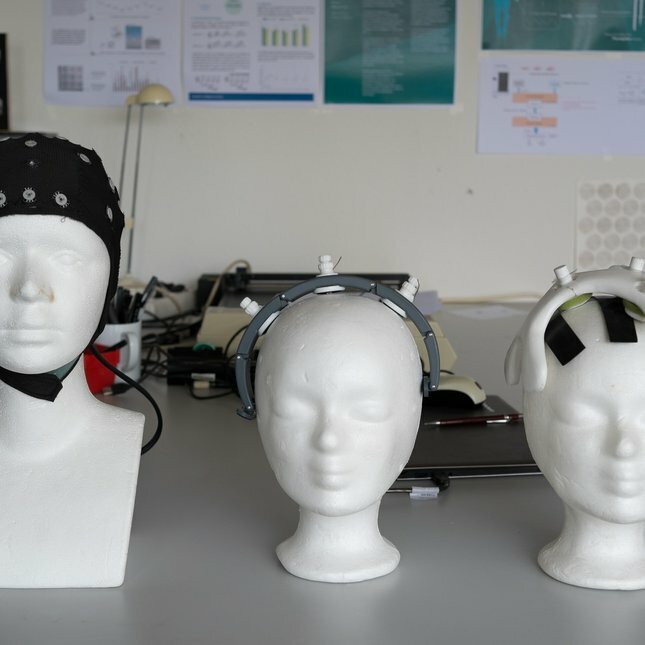 The Biofeedback Lab allows gaining awareness of the physiological functions in the human body using sensors that provide information on the activity of these functions. The goal is ultimately to manipulate these functions at will to improve health, well-being and performance. 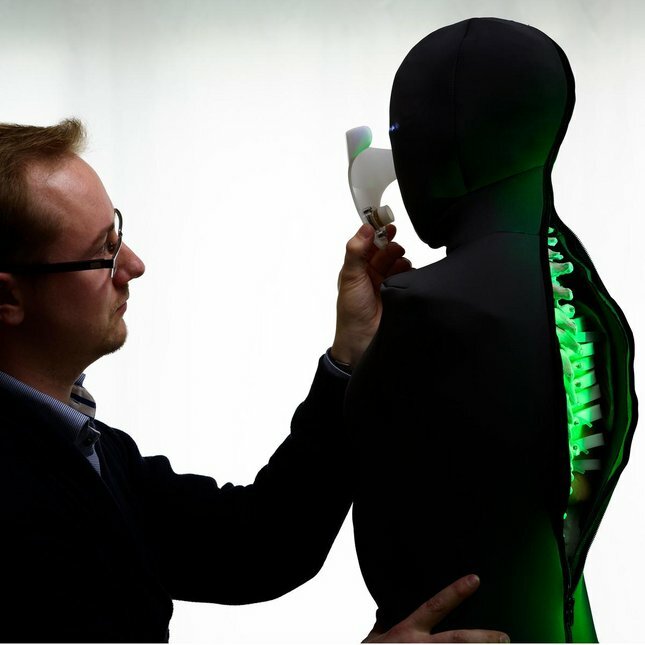 The infrastructure of the lab provides the equipment to perform a wide variety of different measurements on the human body. 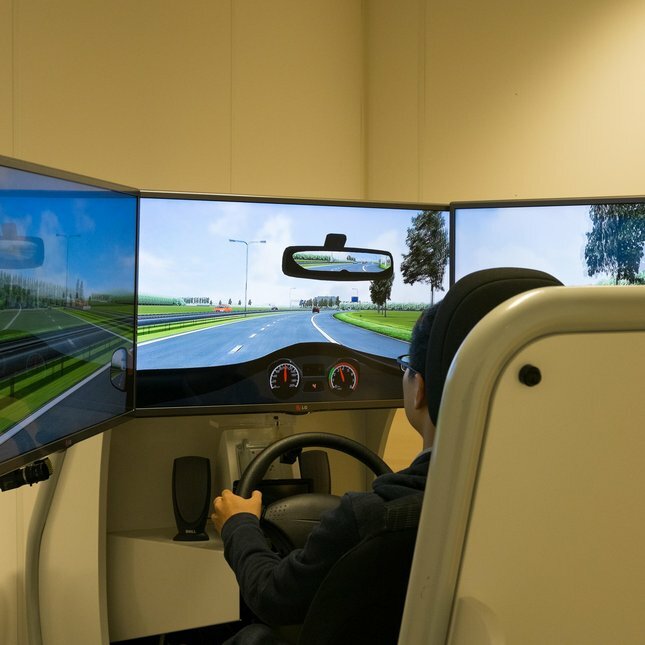 The Car Simulator, also called Drive Master Driving Simulator, provides a mobile Virtual Reality environment for creating a virtual driving experience. It consists of a driving simulator and a control station and is equipped with eye tracking sensors and force feedback steering wheel. Scenarios can be created meeting specific experimental requirements, and different kinds of data can be logged and extracted in real time. The Concept Lab is created with the intention of giving interaction designers access to new and emerging technologies that are potentially useful during the conceptual and early prototyping stages of the design process. The Game | LAB is a laboratory for testing of state-of-the-art gaming systems, testing and evaluating games and game controllers designed in the department and observing and analyzing gamer behavior and experience. The main activities are related to research projects and education activities including student projects and courses, in which the lab is used for testing, evaluation and analysis. The Medical Simulation Lab provides space to develop equipment (simulators) that can aid in the training process of medical professionals. The Neonatal Lab provides space to develop and test designs to be used in a neonatal care environment. The space provides a context (medical equipment, incubator) that can otherwise only be found in a hospital. 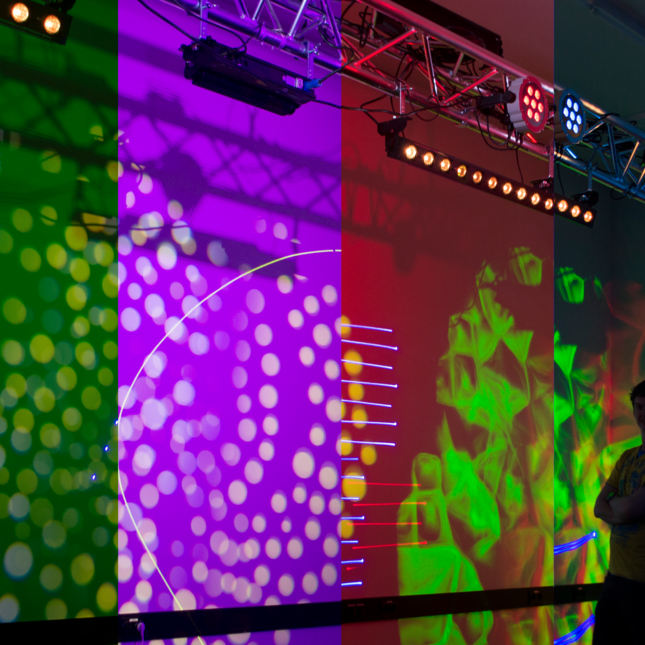 The Vision Studio allows research into human movement and interaction with large displays and sound, for instance for larger visualization projects, but also experimenting with responsive audio-visual environments. The studio has the dimensions of a large classroom and can be darkened completely due to its location in the basement of the Laplace building. The room is equipped with two cameras, an HD video camera and a professional Firewire camera, as well as an HD projector for realizing a video processing chain operating at 1920 x 1080 pixels resolution. Furthermore, the studio has a projection screen of more than 12 square meters on one side atop a small stage, and a mobile white screen of comparable size is available that can be used to bring the developments of the Vision Studio to external venues like conferences and exhibitions. There are movable panels to facilitate changes in the room and its acoustic properties. For mixed media development, a 7.1 surround sound system is provided and each of the eight audio channels can be controlled separately through the computer, allowing for, e.g., sonification of users’ movements. Finally, the studio is equipped with a Mackie mixing console, and different smaller electronic instruments.